Unique formula supports normal digestive “Flow" to assist with Normal Bowel Movements. This is a common sense approach to keeping digestive tract moving. Just squeeze in mouth. 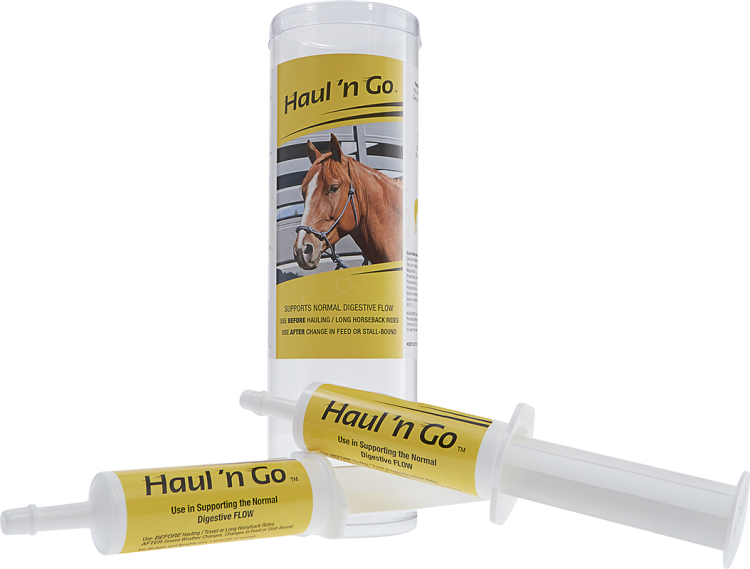 Horses is packaged in ready-to-use, paste oral dose syringes. Canister contains two oral 60 cc syringes – easy to use for two separate occasions.